I didn’t know what to expect from this. I was familiar with Twelve Angry Jurors only through the film Twelve Angry Men (the 1957 film starring Henry Fonda). I had never seen the play by Reginald Rose. It turned out to be just as dramatic and watchable as the film. Both revolve around the concept of reasonable doubt played out through a Jury tasked with deciding whether a boy is guilty of stabbing to death his Father. This excellent cast brought the script to life showing how individual prejudices filtered the perception of those involved not just in how they interpret the trial but also how they relate to one another. It’s also a great propaganda piece for the one person who sticks to their guns and doesn’t follow the crowd as one juror seeks to convince the rest that they are wrong and that they need to think again. All 12 Jurors played their parts well. My only criticism is that due to the fact they were sitting around a table I could not see the facial expressions of some of the cast – just their backs! Perhaps they should have a mirror on stage or maybe they alternate who sits where! Fortunately there was a lot of pacing and standing up! The second play is a far more boisterous and noisy show. Written in 1935 the playwright (Clifford Odets) took his inspiration from a New York cab strike. 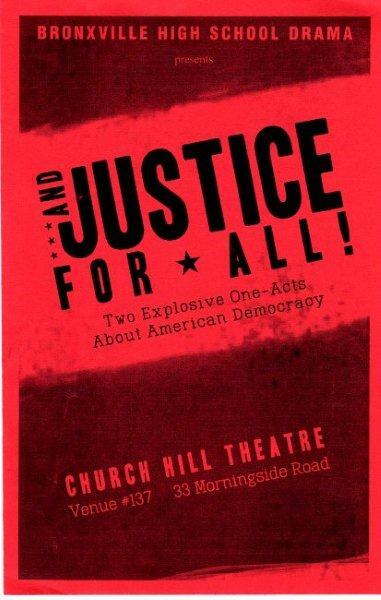 This play is about social protest. It tells the story of cabbies who are exploited by management and who have a Union run by the mob that will do anything to stifle grassroots militancy. With a few changes, here and there, it could be transposed to the present day and there are still lessons here that speak to workers. One unusual slant is that the workers aren’t shown in isolation – the forces driving them to strike are shown. In particular the economic pressure on their families is decisive in making a number support the strike. The young cast were enthusiastic and conveyed the desperation of the strikers and their feeling that the odds were being stacked against them well.